MANILA, Philippines – A record high of 8,701 law graduates will be taking the 2018 Bar examinations today, Nov. 4. 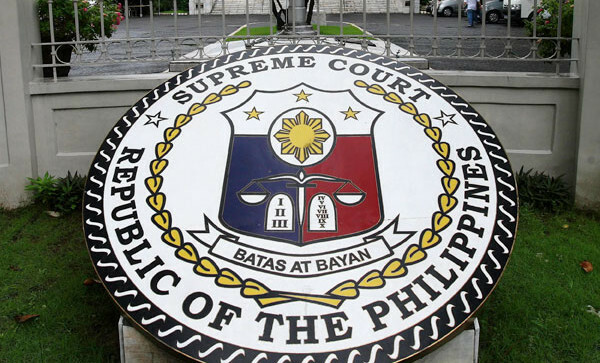 “This is the highest number of Bar candidates in recent years,” said the SC in a statement. 1. Ten (10) SC buses shall shuttle examinees and duty personnel to UST from several pick- up points. 2. The buses will be available as early as 4:30 am and will leave exactly at 5 am in the following areas: Quezon City Memorial Circle near Philippine Coconut Authority (two buses); Park and Ride, Lawton, Manila (one bus); SC New Building Compound, Taft Avenue (two buses); Greenbelt and Glorietta, Ayala Center, Makati (two buses); and Marikina Sports Complex (one bus). 3. Only Bar examinees and duty personnel will be allowed to ride the shuttle buses, and boarding shall be on a first-come, first-served basis. To avail of this service, they must present their Notice of Admission, Gate Pass and/or identification cards. 4. If there will be flooding after the end of the exams there will be vans available at every examination building to shuttle examinees and duty personnel back to Osmeña and Arellano Drives near Gate 5 along España where the SC shuttle buses are waiting. 5. The SC shuttle buses shall shuttle and drop them off in the following areas: for northbound passengers they will be dropped off up to QC Memorial Circle (near Philippine Coconut Authority) while southbound passengers at Park and Ride, Lawton, Supreme Court premises, and at the EDSA Magallanes Flyover (beneath the Flyover) in Pasay. Ayala Center (Glorietta and Greenbelt) for passengers going to the Makati area, and Marikina Sports COmplex for those going to the Marikina area. Last year’s Bar exam, Mark John Simondo of University of St. La Salla (USLS) Bacolod was the top notcher. A total of 1,724 passed out of the 6,748.